Xuan Liu joined FedEx in 2002 as a developer and later moved to the Information Security team. He became a manager in 2007 and a director in 2011, playing a key role in implementing the FedEx Identity Management program and converging information security with physical security. In his nine years in InfoSec, Xuan was responsible for standards and policies, access control, firewalls, remote access and multi-factor authentication. In 2013, Xuan assumed a newly created director role in the FedEx Enterprise Foundational Services organization, with responsibility over package tracking and visibility, as well as a new enterprise solution for real-time shipment processing. His team collaborates with numerous IT and business partners through a federated development model to quickly bring value to market. They are heavily involved in FedEx IT modernization efforts. In 2007 and 2017, Xuan received FedEx Five Star awards, the company’s highest individual achievement award. He is a certified FedEx Quality Driven Management (QDM) Expert. 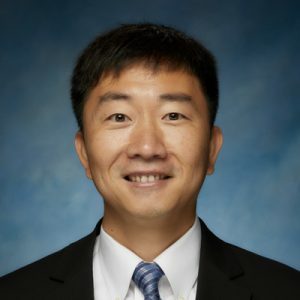 Xuan holds a bachelor’s degree in engineering economics from Tianjin University, China, and holds master’s degrees in economics from the University of Memphis and computer science from the University of Mississippi.